As soon as heroin enters the brain, the user experiences a surge of pleasurable sensation known as a "rush." When heroin enters the brain, crosses the blood-brain barrier, it is converted to morphine and quickly binds to opioid receptors, producing that euphoric feeling. How quickly the heroin enters the brain determines the intensity of the "rush." When heroin is injected it causes a much quicker reaction than if it is smoked. If it is smoked, the reaction is quicker than if it is snorted. But, no matter how it is administered it enters the brain very rapidly and this is one reason heroin is so addictive. Other than the euphoric rush, users usually experience dry mouth, a warm flushing of the skin, and their extremities begin to feel heavy. Sometimes users can experience nausea, vomiting, and severe itching. After the initial, short-term effects of the drug, users can feel drowsy for several hours, due to heroin's effect on the central nervous system. During this period cardiac function and breathing can slow down. In the case of a heroin overdose, breathing can slow to the point of being life-threatening. Because heroin is often mixed with other substances before it is sold on the street level, the short-term effects that users experience can depend on many factors, including how much the drug was "cut" and what substance was used. Heroin is often mixed with non-harmful substances like baby powder or baking soda, which results in reducing the usual side effects of the drug. However, sometimes it is mixed with other substances that can increase the effects of the drug. 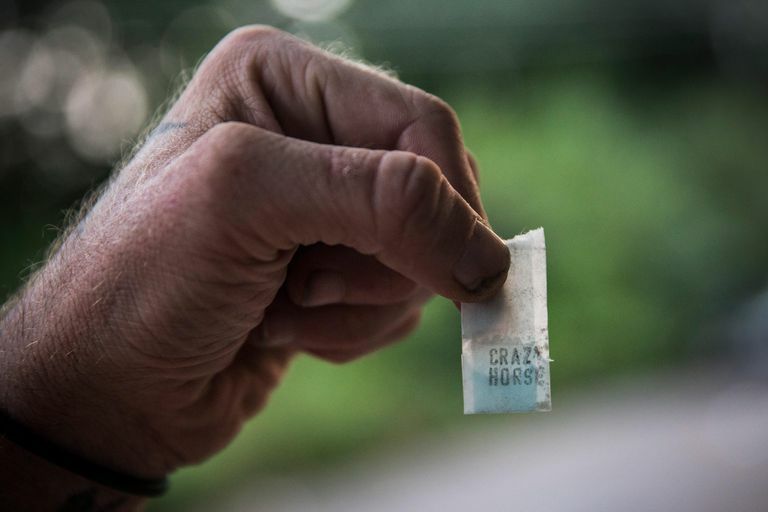 In recent years, healthcare officials have reported an increase in incidents in which heroin was mixed with the powerful painkiller fentanyl, a synthetic opioid that is much more powerful than pure heroin. The results were a significant increase in overdose deaths across the United States. The danger lies in the fact that heroin users really have no way of knowing exactly what they may be getting or how pure it may be. They really never know what they are actually taking. Users who are used to using heroin that has been highly diluted by mixing it with baking soda, who unexpectedly use heroin that has not to be cut—or that which has been mixed with other drugs—can accidentally overdose. Taking too much heroin, accidentally or intentionally, can cause an overdose that can affect the airways, lungs, eyes, ears, nose, throat, heart, blood, skin, stomach, intestines, and the nervous system. If you suspect that someone has overdosed on heroin, call 9-1-1 immediately or call the national, toll-free Poison Help hotline (1-800-222-1222). The Partnership at DrugFree.org. "Heroin." Drug Guide. Accessed March 2014. What is Heroin and How Does Drinking Alcohol Make it More Deadly?